Julian Assange, founder and Editor-in-Chief of WikiLeaks, is the man responsible for the daily release of emails showing the Hillary Clinton presidential campaign to be an unprecedented machine whose tentacles and snitches reach into Wall Street, big corporations and big media. Earlier this year, WikiLeaks released emails showing that the Democratic National Committee had maliciously conspired to undermine the presidential campaign of Clinton challenger, Senator Bernie Sanders, in order to elevate Hillary Clinton to the top of the ticket. Now it has emerged that two of the top lawyers representing Assange, John Jones in London and Michael Ratner in New York, died within less than a month of each other this year. 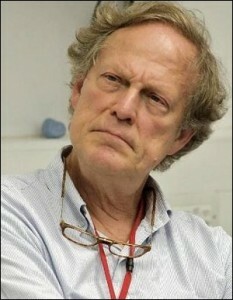 And, Assange’s closest confidant in London and a Director of WikiLeaks, Gavin Macfadyen, died just yesterday. Now there is WikiLeaks leaking emails and documents that show that the same kind of cartel-like behavior that has corrupted Wall Street to its core has also infested the top of the Democratic Party. And, amazingly, three key members of the Assange/WikiLeaks support network have died within six months of each other this year. The statistical probability of this being a natural occurrence is slim. The first WikiLeaks lawyer death to occur was on April 18, 2016. 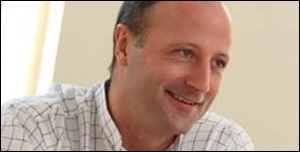 John Jones, a 48-year old father of two with a loving wife, was said to have thrown himself in front of a train at West Hampstead Thameslink station in a borough of London. The coroner who conducted the inquest was Mary Hassell, the same coroner who conducted the inquest into the bizarre death of Gabriel Magee, a happy, healthy, 39-year old technology Vice President at JPMorgan Chase in London. (See related articles below.) While London newspapers had first reported that Magee had jumped from the top of the JPMorgan building to the horror of thousands of onlookers below, it turned out at the inquest that there was not one eyewitness to the alleged jump. Nonetheless, Hassell ruled that: “I am wholly satisfied that Gabriel jumped off the 32nd floor with the intention of killing himself.” In the case of Jones, the Coroner’s Court said he suffered from “obsessive overthinking.” Jones had been receiving treatment at a local mental health facility and had gone out for an early morning walk. The next death of a key WikiLeaks attorney came on May 11, 2016. Renown civil rights attorney, Michael Ratner, was said by the New York Times to have died of “complications of cancer.” Ratner was 72 years old. Ratner was extremely dangerous to the U.S. government because he had a unique, long-term knowledge of institutional wrongdoing within government, the U.S. intelligence apparatus and Wall Street. Ratner was the long tenured President of the New York-based Center for Constitutional Rights (CCR) which took on the cause of Guantánamo prisoners who were being held in indefinite detention without being charged. Ratner served as co-counsel in the 2004 landmark US supreme court case, Rasul v Bush, which gave the Guantánamo prisoners the right to challenge the legality of their detention in a court of law.